Has there ever been a moment in your life where you've been watching a movie, television show, or reading a book when you’ve stopped and said, “Oh my goodness, that character is me”? It’s like meeting your emotional/personality doppelgänger, except they’re not real. They are your Soul Characters. And just like soul mates, we believe that you can meet more than one soul character in your lifetime. Here are ours. Kaylee from Firefly - I wrote a little bit about this in my last article about the show itself. When I first saw the show, I was taken aback as to how similar our personalities were. She wears odd/colorful clothes. Check. She is always smiling. Check. She always looks for the positive things in life. Check. She has an obsession with food. Double Check. She has a crush on the doctor. So would I. She’s a mechanic. Ok, so no check there, but that’s okay. Jess from New Girl - I have long since been in love with Zooey Deschanel, so when I heard that she was going to have a television show, I knew I had to watch it. I first sat down to watch it with my roommate and two minutes in, my roommate turned to me and said, “Kaitlyn, this is your life. You are Jess.” And she was right, the similarities were pretty eerie. We’re teachers. We wear the same exact clothes. Bangs. I practically lived with three guys for two years. We’re both a little socially awkward. We sing out our sentences all the time. We talk in accents. The list goes on and on. Dory from Finding Nemo - I knew I had a third one for this list and I couldn’t remember it and couldn’t remember it and then I did: Dory. That just goes to show how much Dory and I are alike. We both have HORRIBLE memories. I can’t remember what I did yesterday, much less five years ago. It’s a serious problem. I can’t tell you how many times kids have come up to me and said that I sound like Dory (okay, it’s been four times). I, of course, take that as a huge compliment because, um, she’s Ellen. Annie Edison from Community - Never before had I identified so much with a character until I met Annie. She's a hopeless romantic who always feels like she is the second choice. I can echo that sentiment in a heartbeat. She strives to be perfect and gets worked up when her schoolwork isn't finished. That rings so many bells (pun intended). And she's just nice and occasionally funny, definitely how I would classify myself. I would say really our only difference is that I didn't overdose on Adderall when I was in high school like Annie did. Peyton Sawyer from One Tree Hill - If you guys tell anyone that OTH is secretly my favorite show ever, I'll be so angry with you. And so would Peyton. I would say Peyton is a younger version of me. I'm definitely not as moody as Peyton, but our love for music is both immense. I think we're both creative/artsy outcasts (at least in high school - if you read further you'll see that Kaitlyn thinks I'm cool ... what?) and we both enjoy alone time. Sometimes we do things to try and fit in, but we end up hating them (like cheerleading). Also, P. Sawyer got to date Pete from Fall Out Boy while on the show, which was, like, totally my dream in high school. Luna Lovegood from the Harry Potter series - Spacey. Friendly. Oddbally. Spacey. Oh, look, nargles! Mistletoe is often infested with nargles. What were we talking about again? Oh yeah, Luna! I adore Luna. And while I'm not AS spacey as her, I have my moments. I think the main similarity between the two of us is that we genuinely care for people. They may not always return that favor of caring, but we still extend it. And we want to know about things, so we learn about them. 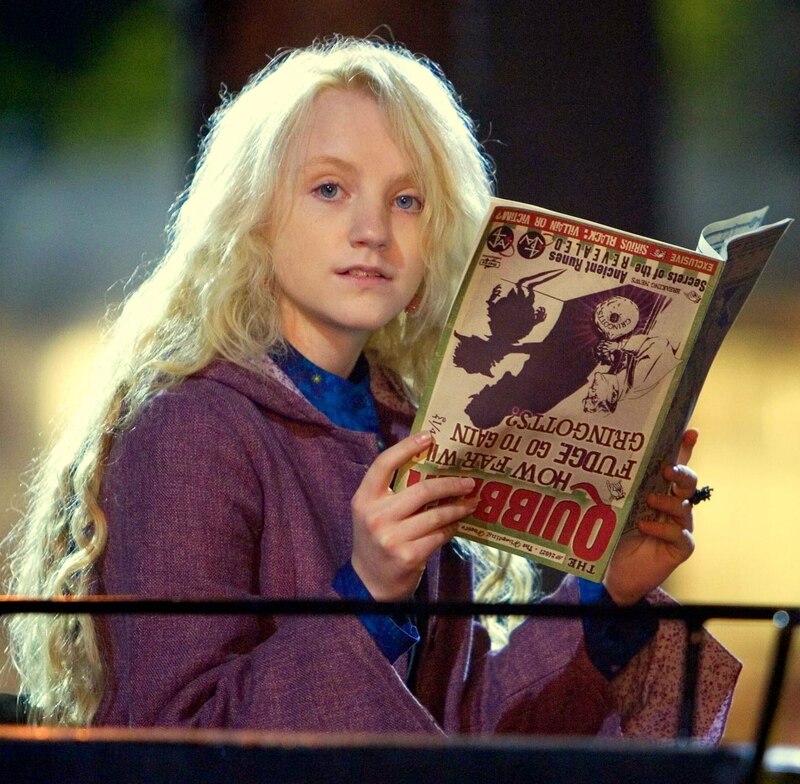 Luna is the only reason I sometimes think I might be a Ravenclaw. -Their resemblance is uncanny. 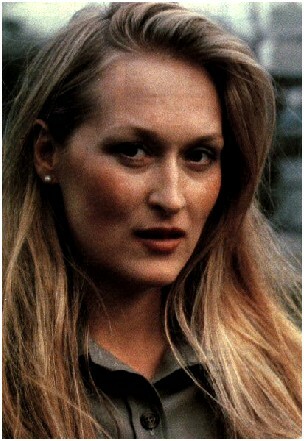 I swear, Sarah miiiiight be Meryl’s long lost daughter. -Sarah would totally be the life of the party at award shows and she would still be glamorous at the same time. 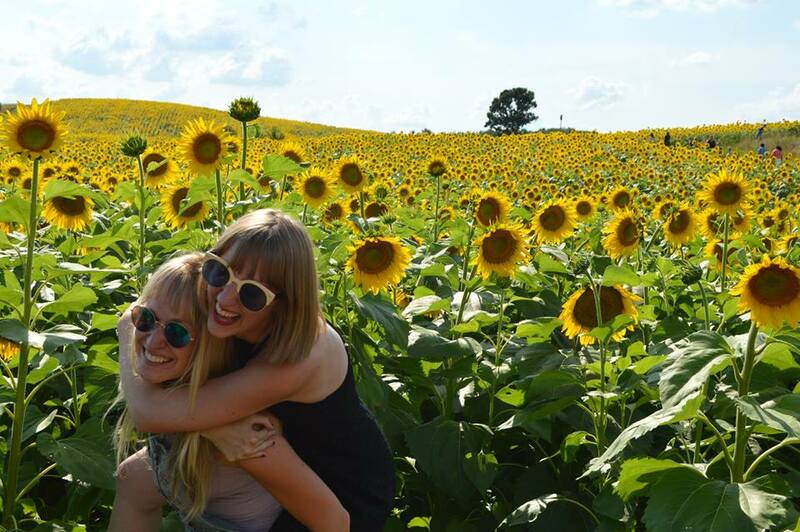 We're Sarah and Kaitlyn, roommates from Milwaukee who started this blog to promote creativity and life.